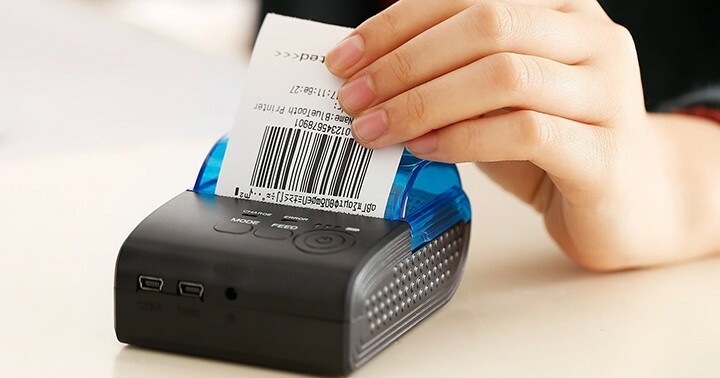 Receipt printers have become fundamental with the modernization of payments. The trend of simply sending receipts via phone has been growing faster than ever but nothing beats having an actual printer to produce a physical receipt and hand it to a customer. This practice makes a huge difference when it comes to the way your business is perceived by your clientele. There are many people who’d only make a purchase in your establishment if you can guarantee you can give them a printed receipt. If your business uses Square Payments, which is one of the best card-and-payment processors and POS platforms available, you’ll want a compatible printer to go along with your hardware. We’ve thoroughly researched hundreds of customer experiences to determine which are the best types of printers that you can use on your Square POS. 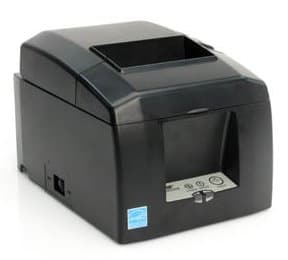 The first and most important thing for you to know before purchasing a receipt printer is that Epson printers are not well supported by Square – try to avoid purchasing them. In fact, the official Square website has a list of all the printers that are compatible with their software, and they list a couple of Epson products that should work well with the POS. However, in some instances, you could be prompted with a message saying that the device is not compatible with the POS as soon as you plug it in. This is highly likely due to software updates that are made, which cause certain interferences between Square and Epson pieces of hardware. The Epson TM-m10 receipt printer should work, though. 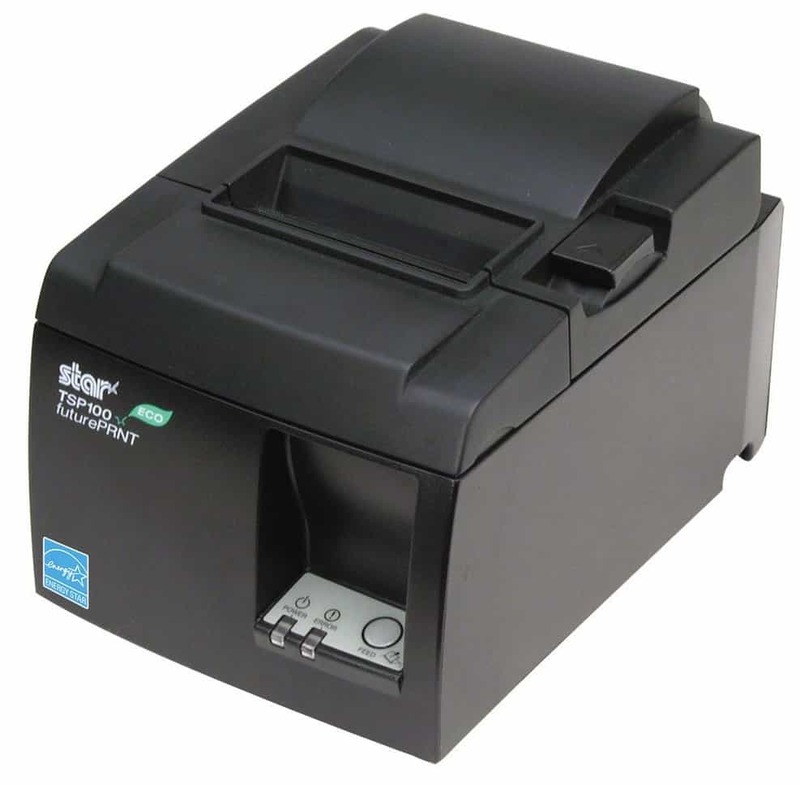 To ensure that the receipt printer that you want to buy is compatible with your Square POS, make sure that the printer is manufactured by Star Micronics. 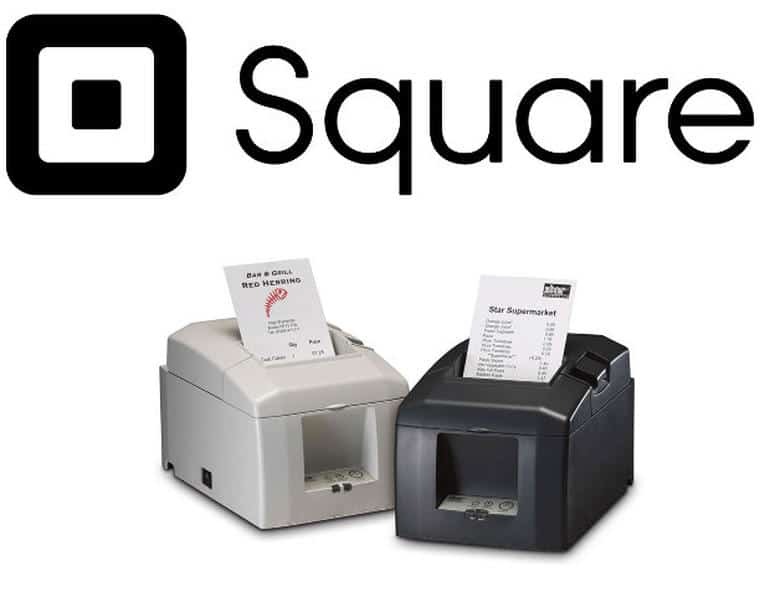 Their services go hand-in-hand with Square’s, and most of their products are compatible with the POS system. 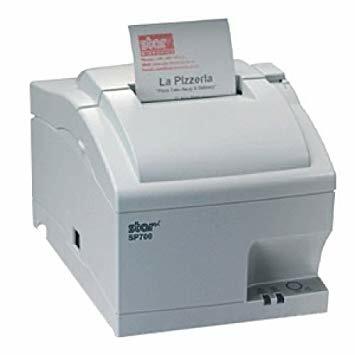 All the printers we’re listing today are made my Star Micronics, but even if you choose to buy a product that didn’t make it into our list, we encourage you to contact Square before purchasing and ask them whether the model you want to buy is compatible or not. 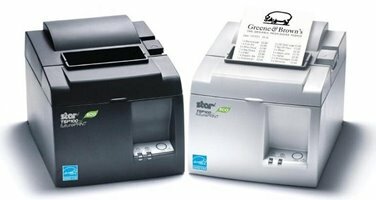 There are different types of receipt printers that you can choose to buy, according to what you need. The most popular types of printers are either connected via Ethernet cables, USB or Bluetooth – each of these have their own unique characteristics, and you should buy the one more suited to your type of business. Keep in mind that you’ll have to check whether your devices have Bluetooth or Ethernet connection before purchasing a printer. The Square POS works in Android and Apple devices and, since you’ll most likely be using a tablet, check the hardware to make sure it will connect properly. Ethernet printers are able to print a ton of receipts and ticket orders. These types of printers aren’t meant to be used while moving, so you’ll need to have your hardware placed in a stationary location if you intend to purchase one of these tools. 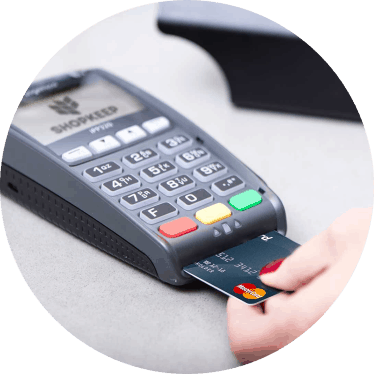 You must have your Square POS installed in a device with Ethernet cable access. Look for a port in your device capable of fitting one of these cables and make sure the software is compatible with the receipt printer. Keep in mind that every single Ethernet printer compatible with the Square software is based on thermal printing. You’ll want to purchase receipt paper capable of withstanding heat printing if you don’t have any. If your business works in an area with a ton of heat going around the place, you might want to purchase a USB or Bluetooth printer instead. These types of printers will be able to produce more receipts per minute than their Bluetooth counterparts, as information is transferred directly via cable. Keep in mind that every type of wire printer is likely to work faster than any wireless device. Bluetooth receipt printers work rather slowly and aren’t meant to be used in venues that require constant printing. They might not be able to produce the best results when it comes to printing multiple things at once (like vouchers and orders meant for the kitchen staff), which means you might want to use get one of these only if you intend to use your printer for a single purpose. Some exceptions apply. The good thing about these printers is that you can carry them around your business and place them wherever you want, as they don’t require cable connection to be able to work correctly. Some of these devices can also be connected via Ethernet cable, though, which makes them more versatile. Usually, when connected via cable, they work more smoothly. You might want to get one of these if your work-space is rather small and you don’t have a lot of frequent clients. They are very practical and can get things done relatively quickly if you don’t overwhelm the device with too many orders in a short span of time. In some cases, you might run into some devices that cannot be connected to an iPad or even some that don’t have Ethernet or Bluetooth connectivity. Most of these are meant to be connected directly to the register. You’ll usually find that these devices are able to connect via USB. We’re also showing you one of these devices in our review. Not all of these are compatible with the Square Register, but the one we’ll show you today is. Be sure the one you purchase is compatible as well, in case it isn’t one of those we’re showing you today. 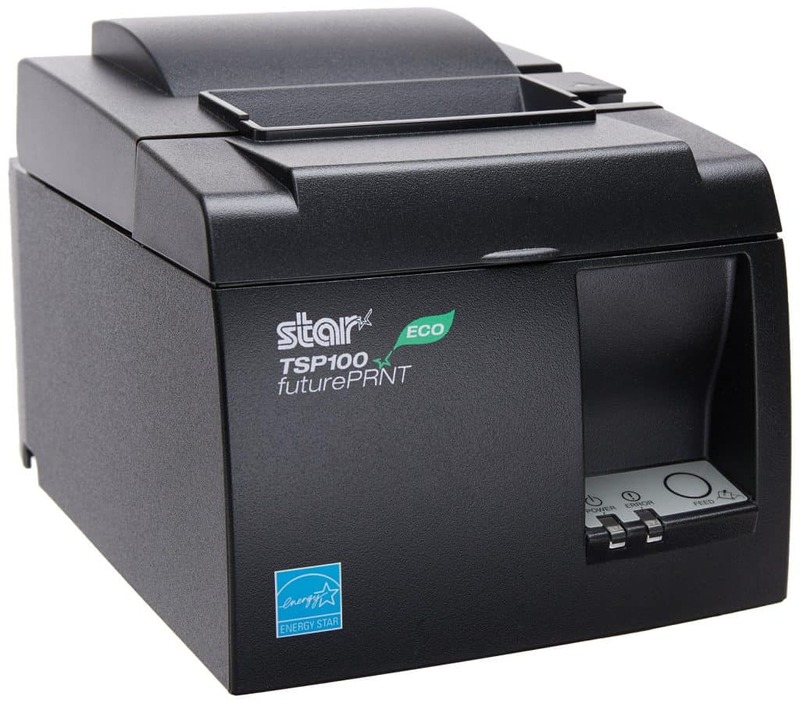 This Star Micronics product is certified by Apple themselves, and it’s meant to be used as a desktop printer with Bluetooth connectivity. It’s one of the fastest Bluetooth devices on the market as well, which makes printing a relatively fast process even though the connection isn’t wired. It also offers a great build: the product is made of stainless steel and can withstand a lot of uses without showing signs of damage. It’s great if you want to carry it around your business, and the Bluetooth signal is strong enough to not lose strength easily. Seeing as it is a Bluetooth device, you’ll want to get this one if you own a food truck or any small food service venue. Keep in mind that this printer works best if your Square service is using the official Square Register. This product is compatible with it and should have no problems operating with its system on any level. It can be used to print kitchen tickets in any food establishment and it will get the job done as quickly as you can wish for with a Bluetooth device. It offers a strong battery life which doesn’t run too soon. This printer will print any type of food service-related vouchers that you need, and it can even do it with your own company’s logo If you wish. It can be difficult to use if you haven’t operated one of these devices before, but you get the hang of it rather quickly. It comes with a CD and Star Micronics also provides you with a video tutorial showing you how to use the device. Depending on which device you use, though, the printer can disconnect from the Bluetooth network at times. We strongly recommend using this printer with a device capable of handling strong Bluetooth load. There’s also a small delay that may occur at times, given that this is a wireless device, but it should still do the job quickly. This is aimed at small business owners. If you want to connect the printer to more than one device, you won’t be able to do it. It should only be used in small venues, or you’ll need to purchase more than one printer to get the job done. As we’ve told you, most receipt printers are based on thermal technology, and the TSP143 isn’t an exception to this rule. This is a USB-based product which comes with a compatible cable, and its interface won’t work in any other environment. It’s not meant to be used as a Bluetooth printer. You won’t need to purchase external batteries if you use this device, as it comes with a power source and a cable capable of charging it if you connect it to an output. You cannot connect this device via Ethernet cable or even through Bluetooth. It can be connected to the Square Register and the Square Stand by simply plugging it via USB into the device of your preference. It’s also a great product if you intend to connect it to a computer – it can print a bunch of different types of files once you install the software updates. It looks like a simple tool, but it’s actually a very complex device which looks professional and ready to resist a lot of uses. It can print anything you send from your phone (if it has the Square app installed, of course). It can connect very quickly to new devices and takes little-to-no time in adapting to them. If you unplug it, you can plug it into any other piece of hardware and all you’ll need to do is wait a couple of seconds. It’ll be ready to use then. 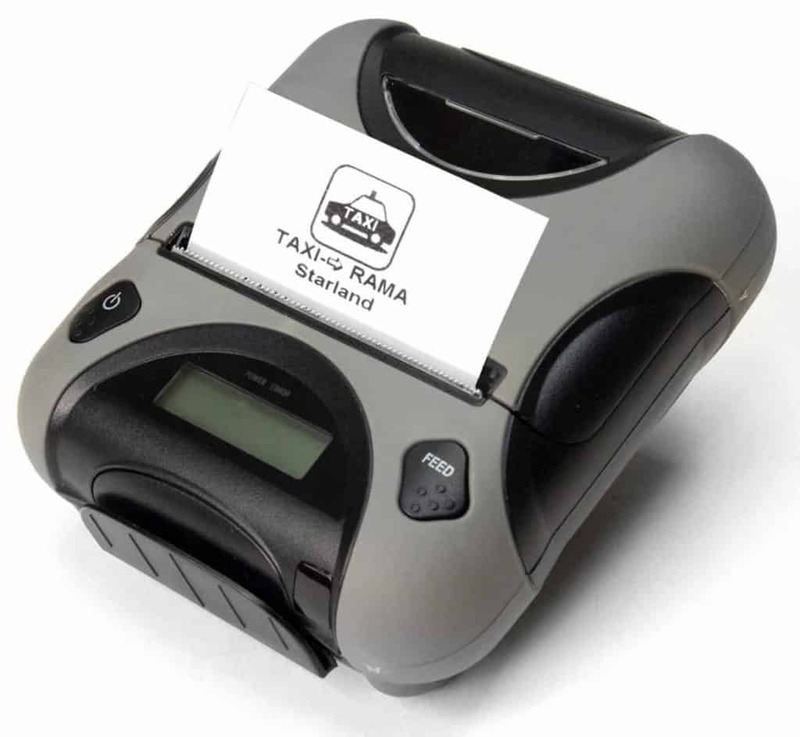 The device allows you to print multiple copies of a single transaction. This allows you to send one to the kitchen, give another one to a customer and keep one more for administrative purposes. If it jams, you can fix it very quickly without having to resort to technical support. It’s very simple to use and causes no problems to its owner. Although this device isn’t listed as a compatible product in the Square website, it’s completely compatible with the Square POS. It can be set up very easily and it gets things done in no time. 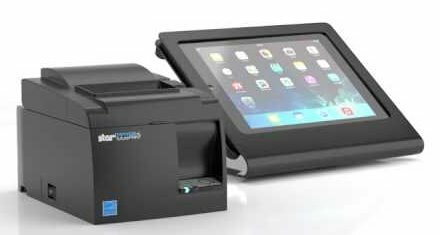 It’s perfect to be used as a kitchen printer in a restaurant, or even as a regular cashier receipt printer in any establishment. It must be plugged directly to the network using a USB cable to properly function, though. It’s not meant to be connected directly to your iPad or tablet – if you use the Square app, you’ll need to have the Stand to make it work well. The Square register should read the new input right away – it’s ready to use as soon as you plug it in. This printer doesn’t work with thermal paper, though. In fact, that’s why many people like to use it as a kitchen printer – it can be set to work in a heat-heavy environment with no issues at all. Tech support from the manufacturer is also as good as you can get. They’ll help you out with any problems you may get during the setup, or any other issues that could arise while working with the printer daily. 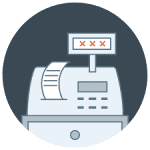 You’ll want to get a receipt printer for your business as soon as possible if you don’t have one already. These devices make businesses more appealing to a customer’s perception and they help to satisfy the needs of those who require printed vouchers of their purchases. Star Micronics devices are almost always compatible with Square software. You’ll want to get one of these if you’re looking to improve your business’ customer experience. Be sure to select a device that suits your business practices. If you’re buying something that isn’t on our list, make sure you contact Square’s customer support to make sure the device you want is compatible with their service. 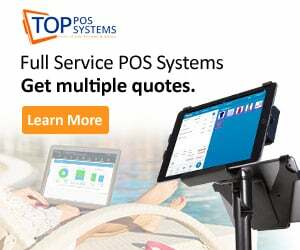 Next Post POS Systems vs. Cash Registers – Which Solution Is Better?